WearableOS helps OEM developers design off-the-shelf wearable technology faster, simpler and at a lower cost thanks to a complete platform and environment based on lean product development. It incorporates RTOS technology with a special selection of peripheral support, communication protocols, wireless support and HMI plus device and cloud connectivity ready to incorporate seamlessly into a design. The new platform arms developers with a variety of features that are critical components of wearable design, including a range of wireless connectivity options like Bluetooth Low Energy (BLE). It also ensures minimal power consumption by providing a selection of processors that feature both inherent low power as well as power management features. With support for a variety of peripherals and sensors, such as GPS chips that can be quickly integrated into the design, WearableOS allows for various sets of focused capabilities. Given today’s challenges in wearable technology security and privacy concerns, RoweBots understands that wearables must be protected from eavesdropping and tampering. WearableOS offers a rich set of security features that a developer can put in place at the foundation to build a secure system and application set. 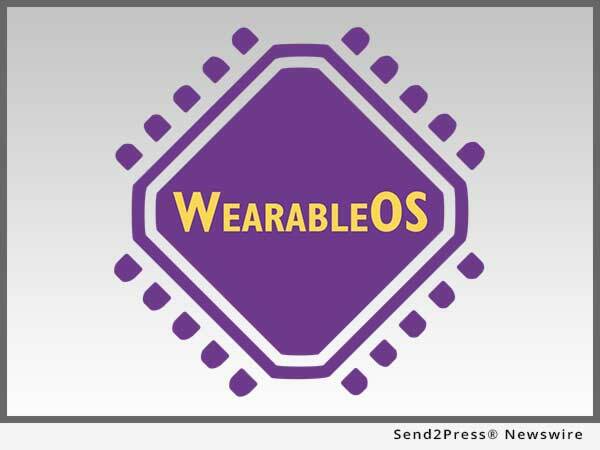 WearableOS is based on RoweBots’ proven Unison RTOS solution, a real-time operating system that offers a complete component set for the development of IoT and M2M Communication Embedded Applications. The RTOS is designed to the well-known POSIX standard, and is optimized for size, modularity and adaptability to system-on-chip solutions, microcontroller units, microprocessor units, digital signal processing systems, field-programmable gate arrays and digital signal controllers. It is intended to help developers take products beyond the prototype level and add value with the opportunity for later expansion and enhancement of the product line. WearableOS comes with a demonstration package in the form of a low-power watch kit. Featuring a 240 x 240 color display and a BLE connection, the watch kit allows users to quickly learn about WearableOS by developing a device using an open source hardware kit and supplied software. RoweBots will demonstrate its WearableOS technology at WT Wearables in San Francisco on July 25-26. To learn more, visit: http://rowebots.com/en/documents/white-papers/. RoweBots has delivered excellence in embedded systems products for over 30 years. The company’s products are optimized specifically for those developing extremely small devices that require a broad set of embedded applications. Specifically, RoweBots’ flagship products can assist with developing medical, wearable and IoT-enabled devices, drastically cutting down time to market and, in turn, costs associated with development. More information: http://rowebots.com/. "Wearable technology developers today face a myriad of challenges in creating a wearable that has unique capabilities, as well as has the ability to sense, store, interpret and communicate information about the wearer's surroundings," said Kim Rowe, CEO and founder of RoweBots.